Quincy Jones Productions (QJP) is an all-encompassing entertainment company, which is home to its various branches such as artist management, production, films, brand licensing, Qwest TV, and the Quincy Jones Foundation. With Quincy Jones (one of 21 EGOT—Emmy, Grammy, Oscar, & Tony—holders in history) at the helm, QJP is modeled after an inimitable legacy of excellence. We seek to foster authenticity at all levels of the creative process, without sacrificing integrity. 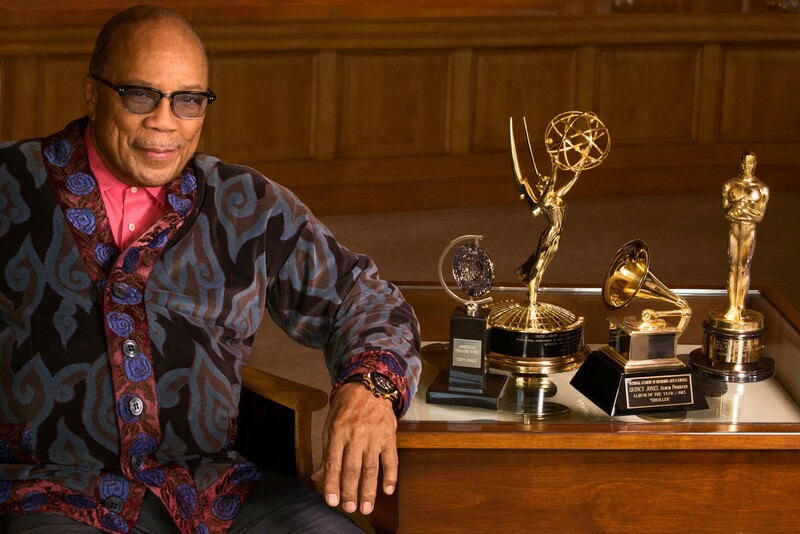 An impresario in the broadest and most creative sense of the word, Quincy Jones’ career has encompassed the roles of composer; artist; arranger; conductor; instrumentalist; record company executive; magazine founder; multi-media entrepreneur; humanitarian; investor; and record, film, and TV producer. As a master inventor of musical hybrids, he has shuffled pop, soul, hip-hop, jazz, classical, African, and Brazilian music into many dazzling fusions, traversing virtually every medium, including records, live performance, movies, and television. Jones’ creative magic has spanned over seven decades, beginning with the music of the post-swing era, and continues to influence today’s high-technology, international multi-media hybrids. Named by Time Magazine as one of the most influential jazz musicians of the 20th century, Jones was born on March 14th, 1933, on the Southside of Chicago and raised in Seattle. He began playing the trumpet under the tutelage of the legendary, Clark Terry, and continued his musical studies at the prestigious Schillinger House (now known as Berklee College of Music) in Boston. He remained there until the opportunity arose to tour with Lionel Hampton’s band as a trumpeter, arranger, and pianist at only 20 years old, and by the mid-50’s, he was arranging and recording for musical greats such as Sarah Vaughan, Ray Charles, Count Basie, Duke Ellington, Big Maybelle, Dinah Washington, Cannonball Adderley, and LaVern Baker. In 1957, Jones furthered his musical education under the discipline of Nadia Boulanger, the legendary Parisian tutor who also instructed American expatriate composers such as Leonard Bernstein and Aaron Copland. To subsidize his studies, he took a job with Barclay Disques, Mercury’s French distributor, and recorded many European artists, namely Charles Aznavour, Jacques Brel, and Henri Salvador, as well as American artists, Sarah Vaughan, Billy Eckstine, and Andy Williams. In 1961, Jones became the Vice President of Mercury Records and was the first high-level black executive of an established major record company. Toward the end of his association with the label, Quincy turned his attention to another sector of the industry that had been closed to African Americans—the world of film scores. As the first black composer to be embraced by the Hollywood establishment in the 60’s, he helped refresh film scores with infusions of jazz and soul. In 1963, he scored the music for Sidney Lumet’s, The Pawnbroker, which would turn out to be the first of his nearly 51 major motion picture and television scores. Furthermore, Jones was the first popular conductor-arranger to record with a Fender bass, and his theme from the hit TV series, Ironside, was the first synthesizer-based pop theme song. In the same year, Jones won the first of his 27 Grammy Awards for his arrangement of Count Basie’s “I Can’t Stop Loving You,” and continued to work with Basie on Frank Sinatra’s classic Sinatra At The Sands, which contains the famous arrangement of “Fly Me To The Moon”: the first recording played on the moon by astronaut Buzz Aldrin, when he landed in 1969. In 1985, Jones co-produced Steven Spielberg’s adaptation of Alice Walker’s The Color Purple, which garnered eleven Oscar nominations and marked his debut as a film producer. He is also credited with introducing Whoopi Goldberg and Oprah Winfrey to film audiences through this major motion picture. His landmark 1989 album, Back On The Block—named “Album Of The Year” at the 1990 Grammy Awards—brought legends such as Dizzy Gillespie, Ella Fitzgerald, Sarah Vaughan, and Miles Davis together with Ice T, Big Daddy Kane, and Melle Mel to create the first fusion of be-bop and hip-hop musical traditions. Furthermore, the 1993 recording of the critically acclaimed, Miles and Quincy Live At Montreux, features Quincy conducting Miles Davis’ live performance of the historic Gil Evans arrangements from the Miles Ahead, Porgy and Bess, and Sketches of Spain sessions, which garnered a Grammy Award in the category of “Best Large Jazz Ensemble Performance.” As producer and conductor of the historic “We Are The World” recording (best-selling single of all time), and Michael Jackson’s RIAA Multi-Platinum® certified solo albums, Off The Wall, Bad, and Thriller (the best-selling album of all time, with over 100 million copies sold worldwide), Jones stands as one of the most successful and admired creative artists/executives in the history of the entertainment world. In 1990, Jones formed Quincy Jones Entertainment (QJE), a co-venture with Time Warner, Inc, for which Quincy served as CEO and chairman. QJE had a broad ranging, multi-media agenda which encompassed programming for current and future technologies, including theatrical motion pictures; and network, cable, and syndicated television. Jones helped launch and executive produce NBC Television’s Fresh Prince Of Bel Air, UPN’s In The House, and Fox Television’s Mad TV, among other syndicated shows and television specials. In 1991, Jones founded VIBE Magazine, and with his publishing group VIBE Ventures, acquired SPIN Magazine before divesting his magazine interests. As a record company executive, Jones remained highly active in the recording field throughout the 90’s as the guiding force behind his own Qwest Records, which boasted artists such as New Order, Tevin Campbell, Andre Crouch, Patti Austin, James Ingram, Siedah Garrett, Gregory Jefferson, and Justin Warfield. New Order’s album, Substance, earned Qwest a gold record in 1987 and Tevin Campbell’s, T.E.V.I.N, was both a critical sensation and major commercial success. The release of the Boyz N The Hood soundtrack album was among the most successful soundtrack recordings of 1991, and Qwest Records also released soundtrack albums from the major motion pictures, Sarafina! and Malcolm X. George Benson’s Give Me the Night was the first release on Qwest Records. In the same year, his life and career was chronicled in the critically acclaimed Warner Bros. film, Listen Up: The Lives of Quincy Jones, produced by Courtney Sale Ross: a film which helped illuminate not only Quincy’s life and spirit, but also revealed much about the development of the African American musical tradition. In January 1993, Jones executive produced An American Reunion concert at Lincoln Memorial: an all-star concert, which was the first official event of the presidential inaugural celebration for Bill Clinton, and drew widespread acclaim as an HBO telecast. In 1995, Quincy Jones led a group of businessmen, including Hall of Fame football player Willie Davis, television producer Don Cornelius, television journalist Geraldo Rivera, and businesswoman Sonia Gonsalves Salzman in the formation of Qwest Broadcasting. Qwest was a minority controlled broadcasting company which purchased television stations in Atlanta and New Orleans for approximately $167 million: establishing it as one of the largest minority owned broadcasting companies in the United States. Jones served as Chairman and CEO of Qwest Broadcasting, and with his partners, later sold it for a reported $270 million. Additionally, his 1995 recording, Q’s Jook Joint, again showcased his ability to mold the unique talents of an eclectic group of singers and musicians into a retrospective of his broad and diverse career. A reference to the backwoods club houses of rural America in the 1930’s, 40’s, and 50’s, this multiple platinum selling record features performances by artists such as Bono, Brandy, Ray Charles, Phil Collins, Coolio, Kenny “Babyface” Edmonds, Gloria Estefan, Rachelle Ferrell, Aaron Hall, Herbie Hancock, Heavy D., Ron Isley, Chaka Khan, R. Kelly, Queen Latifah, Tone Loc, the Luniz, Brian McKnight, Melle Mel, Shaquille O’Neal, Joshua Redman, the Broadway musical troupe Stomp, SWV, Take 6, Tamia, Toots Thielemans, Mervyn Warren, Barry White, Warren Wiebe, Charlie Wilson, Nancy Wilson, Stevie Wonder, Mr. X, and Yo-Yo, among others: garnering seven Grammy nominations. On March 25, 1996, Jones executive produced the most watched awards show in the world—the 68th Annual Academy Awards—which received widespread acclaim as one of the most memorable Academy Award shows in recent years. The Complete Quincy Jones: My Journey & Passions (Palace Press), published in 2008, examines the virtuosity of Jones and celebrates his prolific contributions to American art and culture; it includes a foreword by Clint Eastwood, preface by Bono, an introduction by Maya Angelou, and an afterword by Sidney Poitier. Comprised of personal interviews and recollections from Jones, this collection peers behind the veil of celebrity, with extraordinary access to his creative inspirations and achievements. In 2010, the Interscope album Soul Bossa Nostra was released as a tribute to Jones, featuring recording artists and producers such as Usher, Ludacris, Akon, Jamie Foxx, Jennifer Hudson, Mary J. Blige, T-Pain, Robin Thicke, LL Cool J, John Legend, Snoop Dogg, Wyclef Jean, Q-Tip, Talib Kweli, Three 6 Mafia, David Banner, Bebe Winans, Mervyn Warren, Jermaine Dupri, DJ Paul, and Scott Storch, among others. These artists joined together to celebrate the music of Jones, the multi-Grammy winning producer, composer, and arranger, by recording contemporary versions of popular recordings from his massive catalog. Moreover, the laurels, awards, and accolades have been innumerable. Quincy has won an Emmy Award for his score of the opening episode of the landmark TV miniseries, Roots; seven Oscar nominations; the Academy of Motion Picture Arts and Sciences’ Jean Hersholt Humanitarian Award; 27 Grammy Awards; a N.A.R.A.S.’ prestigious Trustees’ Award; and The Grammy Living Legend Award. He is the all-time most nominated Grammy artist with a total of 80 nominations; in 1990, France recognized Quincy with its most distinguished title, the Commandeur de Legion d’Honneur; he is the recipient of the French Ministry of Culture’s Distinguished Arts and Letters Award, the Royal Swedish Academy of Music’s coveted Polar Music Prize, and the Republic of Italy’s Rudolph Valentino Award; the recipient of honorary doctorates from Howard University, the Berklee College of Music, Seattle University, Wesleyan University, Brandeis University, Loyola University (New Orleans), Clark Atlanta University, Claremont University’s Graduate School, the University of Connecticut, Harvard University, Tuskegee University, New York University, University of Miami, and The American Film Institute, among others. In 2001, Jones was named a Kennedy Center Honoree for his contributions to the cultural fabric of the United States of America, and was recognized by the National Endowment for the Arts as a Jazz Master (the nation’s highest jazz honor). In 2010, Jones was bestowed the National Medal of Arts, America’s highest artistic honor, and most recently in 2016, Jones received a Tony Award for the category of “Best Revival of a Musical,” for the Broadway production of The Color Purple. The award completed the rare EGOT set for Jones: an exclusive subset of artists who have received an Emmy, Grammy, Oscar and Tony Award. There are only 21 EGOT recipients in history. In the midst of such broad-ranging achievements and contributions, Jones has maintained a long history of humanitarian work which began in the 1960’s and 70’s. He was one of the key supporters of Operation P.U.S.H., and in 1985, he pioneered the model of using celebrity to raise money and awareness for a cause through the recording of “We Are the World:” which remains the best-selling single of all-time, and raised more than $63 million for Ethiopian famine relief. More importantly, however, it shined a spotlight on the Ethiopian drought, which was the impetus for the U.S. Government responding with over $800 million in aid. In 1999, Jones, Bono, and Bob Geldof met with Pope John Paul II as a part of the Jubilee 2000 delegation to end third world debt. The delegation’s visit resulted in $27 billion being distributed to third world debt relief for Bolivia, Mozambique, and the Ivory Coast. Furthermore, in 2004, Jones launched the We Are the Future initiative with a concert featuring Carlos Santana, Alicia Keys, Josh Groban, Oprah Winfrey, Norah Jones, and a host of other entertainers from around the world, in front of a live audience of more than a half-million spectators. The initiative has established Municipal Child Centers in the cities of Addis Ababa (Ethiopia), Asmara (Eritrea), Freetown (Sierra Leone), Kigali (Rwanda), and Nablus (Palestine), to provide training programs in health, nutrition, sports, arts, and Information and Communication Technology (ICT), for local youth. In 2007, Jones and the Harvard School of Public Health joined forces to advance the health and well-being of children worldwide through Project Q, a strategic initiative of the School’s Center for Health Communication. Through the strategic use of media, Project Q challenged leaders and citizens of the world to provide essential resources to enable young people to achieve their full potential. A centerpiece of Project Q was the Q Prize, which recognized extraordinary leadership by public figures and social entrepreneurs who champion the needs of children. The inaugural Q Prize was awarded in January 2007 to Scott Neeson, founder of the Cambodian Children’s Fund, and over $600,000 was raised in support of Neeson’s work. Currently, the Quincy Jones Foundation provides financial assistance to organizations that serve to help disadvantaged communities and support music initiatives worldwide. Furthermore, Jones and Emirati social entrepreneur Badr Jafar, founded Global Gumbo Group (G3) which develops multi-media opportunities across all entertainment platforms including music, film, television, publishing and digital applications, in the Middle East and North Africa. Under G3, Jones produced “Bokra/Tomorrow (A Better You, A Better Me)” an Arabic re-adaptation of his Grammy award winning song entitled, “Tomorrow (A Better You, A Better Me),” which features 24 Arab stars from 16 nations across the Middle East and North Africa. The song went to #1 on the regional Virgin music charts for 5 consecutive weeks upon its release on 11/11/11 and raised money for various regional charities in children’s education. Presently, Jones is furthering his business endeavors in conjunction with Quincy Jones Productions, which includes various divisions such as artist management; licensing & endorsements; live, film, & television production; international joint ventures; and investments. Under his management, he has signed a roster of incredibly talented young artists, such as two-time GRAMMY® Award winning Jacob Collier and GRAMMY® nominated pianist and composer, Alfredo Rodriguez, amongst others. Additionally, his licensing division includes a state of the art line of consumer electronics with Harman International (JBL); the Quincy Jones pen and collection with Montegrappa; a luxury luggage and sunglass line with Maybach; and many more. Most recently, he opened the first Q’s Bar & Lounge at the Palazzo Versace Hotel in Dubai and is set to open additional venues around the globe throughout the next few years. Jones also currently serves as the official Artist Ambassador of the annual Montreux Jazz Festival in Switzerland. In 2014, Jones produced the documentary feature Keep On Keepin’ On, alongside Paula DuPre Pesmen, which won the top prize at multiple film festivals including the Tribeca Film Festival, the Seattle International Film Festival, and The Palm Springs Film Festival. The film was also shortlisted for the “Feature Length Documentary” Academy Award. In 2016, Jones and Don Mischer co-produced the opening ceremony of the African American Smithsonian Museum on ABC Network featuring President Obama, Oprah Winfrey, Usher, Stevie Wonder, and many others. Jones currently serves as the official Ambassador of the annual Montreux Jazz Festival in Switzerland. In 2018, QUINCY, the definitive documentary on his life (directed by his daughter Rashida Jones along with Al Hicks, director of Keep On Keepin’ On) was released on Netflix. The film has garnered international acclaim, and won the AAFCA Best Documentary Award; the BFCC Best Documentary Award; the Black Reel Outstanding Documentary Award; the Critic’s Choice Most Compelling Living Subject of a Documentary Award; the HMMA Best Music Documentary Award; and landed Quincy his 80th Grammy nomination and 28th Grammy win, in the category of Best Music Film. As demonstrated by his work and achievements, Jones’ contributions are far reaching and have touched nearly every sector of the entertainment industry. It is without a doubt that at 85 years old, Jones remains as involved as he was in his 30’s, and continues to positively influence the world in which we live. 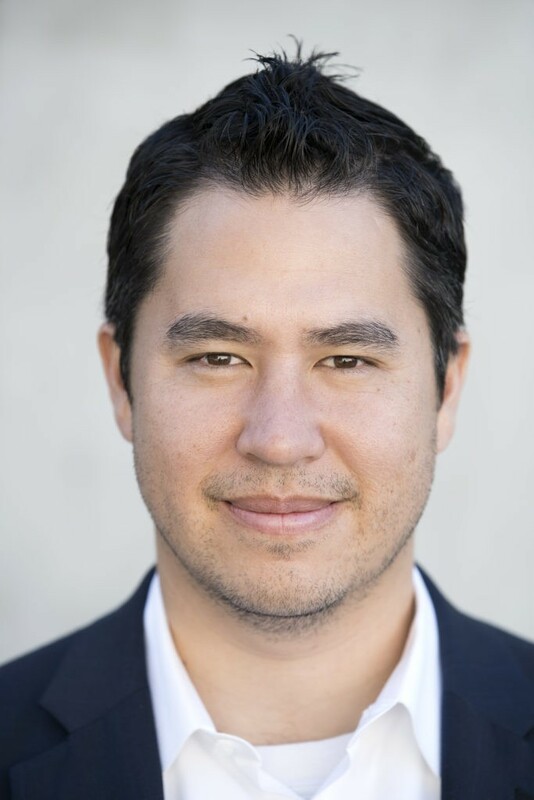 Adam Fell is the President of Quincy Jones Productions, and oversees various branches of the company, such as artist management; licensing and endorsements; live, film, and television production; international joint ventures; and investments. Furthermore, Fell was an Executive Producer for the 2014 film, Keep On Keepin’ On, which won the top prize at the Tribeca Film Festival, was sold to Radius, and shortlisted for the Documentary (Feature) Academy Award. Fell was also an Executive Producer of the Netflix original release, QUINCY, which won the African-American Film Critics Association award for Best Documentary, the Black Film Critics award for Best Documentary, two Critics Choice awards, and a Grammy award in the category of Best Music Film, amongst others. Beyond his leadership at QJP, Fell has been a featured speaker at various events, such as the Goldman Sachs “Music is in the Air” Conference, and the late Alan Krueger’s Music Industry Research Association (MIRA) Conference. Fell also serves on the International Advisory Board of the Montreux Jazz Festival, as well as the Advisory Board of There With Care, a foundation that provides support for families facing critical illness.